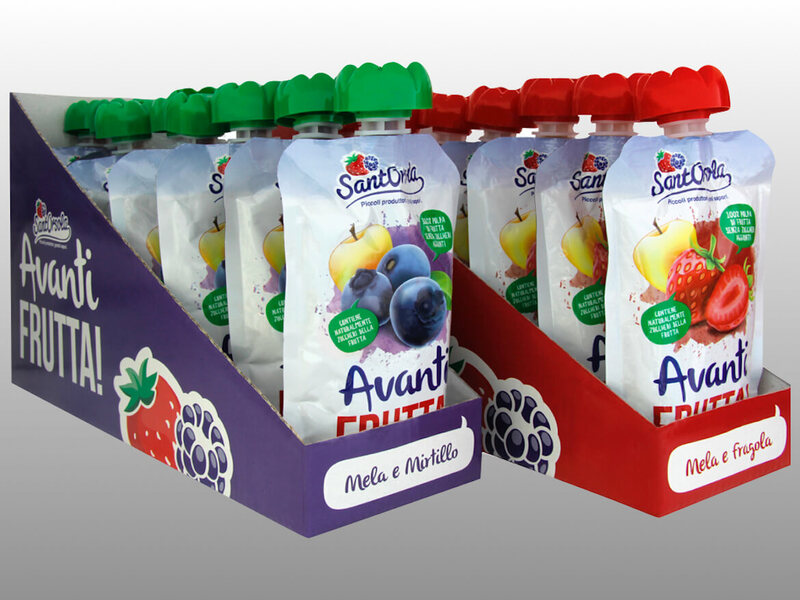 For the new Sant’Orsola Juice launch, Chocolate Factory has created the name of the product line, the graphic design of the packaging with its boxes and the whole graphic materials related. A friendly style, with a bit of fun on it. Once again the focus is on the berries, in both the naming and the visuals.